CHIANG MAI – In December 1994, a small seed was planted here. The Methodist Church in Singapore sent Mr Lim Chong Heng as a missionary supply pastor to Thailand. Today that tiny seed has borne much fruit. Our Bishop Dr Robert Solomon led a delegation of Singapore Methodist pastors and members to Chiang Mai in March this year to conduct the ordination of the Rev Prasert Pornkiratikul as our fi rst Methodist Elder of the Methodist Church in Thailand. 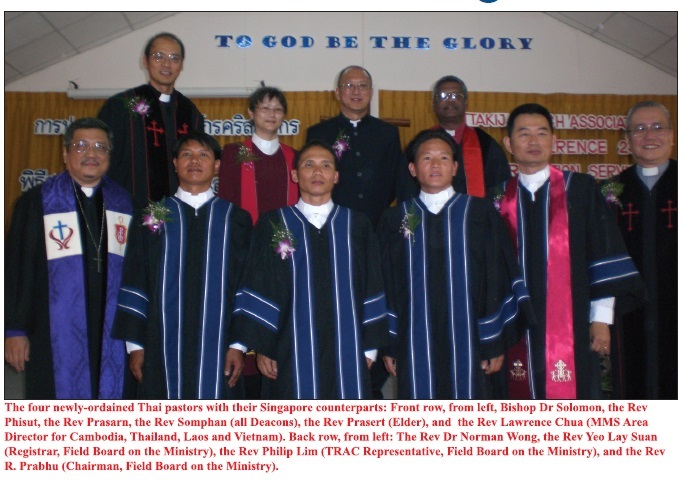 Three other Thai Methodist pastors were also ordained as Deacons. It was a beautiful sight with church members turning up in their traditional costumes to support their pastors. 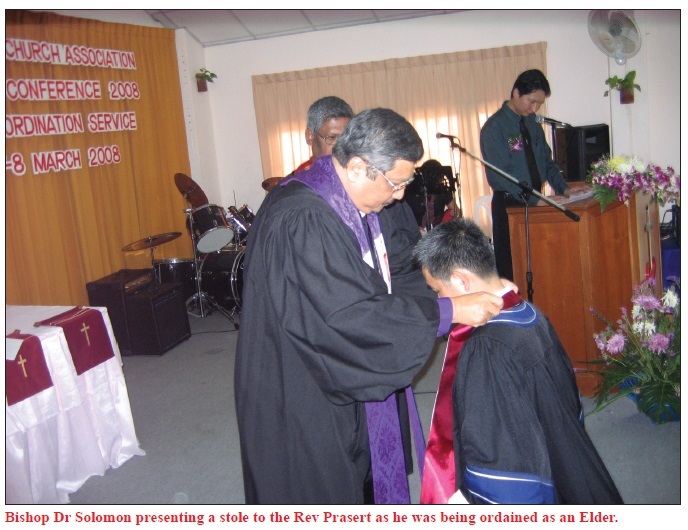 • The Rev Somphan Sangkhen – Deacon. 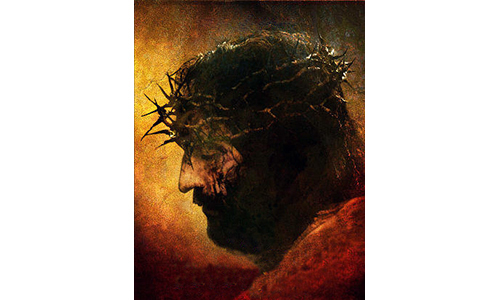 Gospel of Jesus to the nation of Thailand. The Rev Prasert is the Pastor of Rangsit Methodist Church in Bangkok which Paya Lebar Methodist Church has been partnering for many years. Thanks to his bold leadership, the church finally stands on the threshold of a very exciting and challenging project to construct its own building on a piece of property that has been generously donated by a family Bishop ordains the first Methodist Elder in Thailand from Wesley Methodist Church. 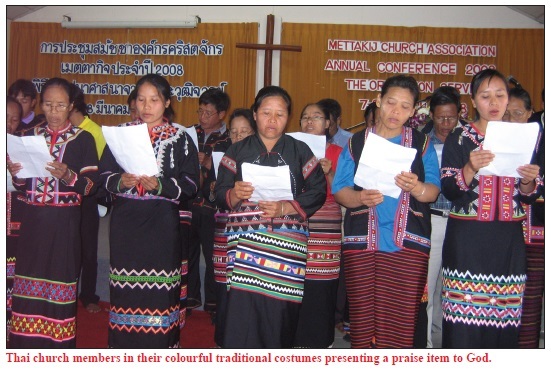 The Rev Phisut has been faithfully overseeing our ministry among the Lahu hill tribes for the last 10 years. He was instrumental in transforming his vision of serving the people of Doi Saket into a reality (See below). The Rev Prasarn is the well-loved Pastor of Sanphranet Methodist Church. He has rallied his church to launch its own church building fund. His church members are a little tired of operating out of rented premises for the last 10 years. He believes the Lord will provide them a place they can call their own. Charis Methodist Church has come alongside them in this building project. The Rev Somphan has emerged both as an effective Pastor of Genesis Methodist Church and a respected leader within his own Huey Paraii community. With support from Ang Mo Kio Methodist Church, they have been a blessing to the surrounding villages and have set up a hostel for 60 tribal youth who were sleeping rough just to get an education. Together with the Rev Henry Yeo, a Deacon from Charis Methodist Church, these men will lead the Methodist Church in Thailand into the future. Bishop Dr Solomon also took time to visit the Doi Saket Learning House – two years ago it was a piece of barren land. 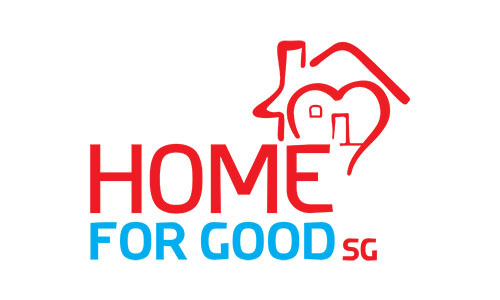 The Rev Phisut, Mr Leong Seng Kok and his wife Sharon – Methodist Missions Society missionaries from the Methodist Church of the Incarnation (MCI) – saw the potential and took a bold step of faith to buy the property. With the hard labour and sacrificial giving from the Rev Phisut and his team, coupled with wise guidance and strong support from the MCI, there is now a ministry to the surrounding community and there are signs of the beginnings of a new church. Just before fl ying home, Bishop Dr Solomon took a six-hour round trip by car to share the joy of a small Methodist community deep in the hills west of Chiang Mai as they dedicated their new church building which they built with their own hands. This is the Ban Bok preaching point, and the Rev Somphan travels there once or twice a month to oversee it. Lord, we thank You for the privilege of serving Your church in Thailand. Please send more Singapore Methodists who will be willing to go as missionaries to teach English and plant new churches. Please grant our Thai pastors Your wisdom and boldness to establish Your Kingdom in Thailand. The Rev Dr Norman Wong is the Executive Director of the Methodist Missions Society.